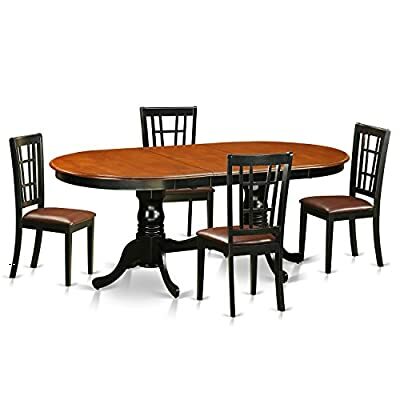 Table Size: 34 x 34 x 30 Inches. Chair Size: 18 x19 X 30 Inches. NW: 50 LBS. 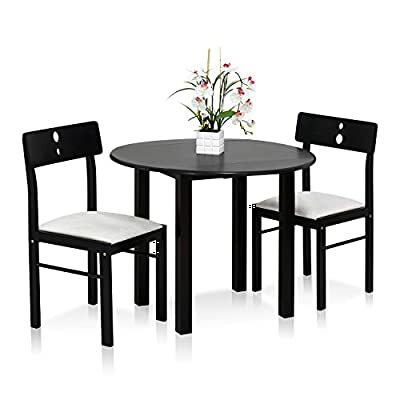 Deluxe-Looking Table Chair Set–The table chair set has a fancy looking, The elegant and luxury design brings your dining room, living room, garden, patio or balcony into next level. 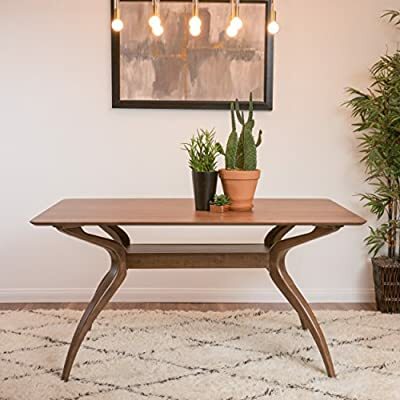 In addition, the table is super functional. 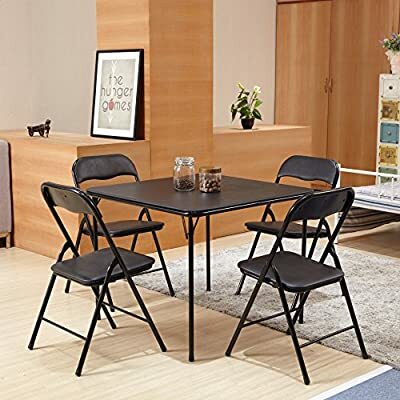 It is spacious enough to hold any cups, fruits, snacks, newspaper, magazines etc. Reinforced Metal Frame– We used reinforced metal bars as frame. 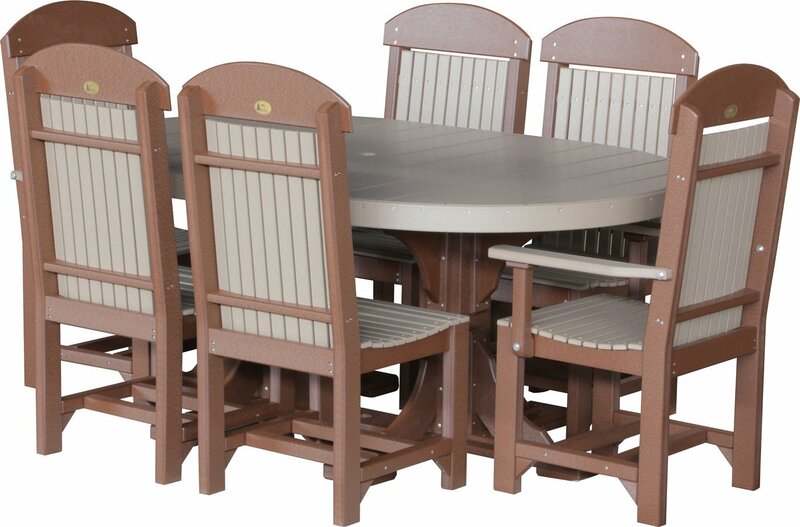 Compared to other ordinary metal frame chairs, it is more stable and solid and does not warp or damage easily. Big Foot Protectors for Floor Protection — Big foot protectors effectively protect your floor from the scratches. 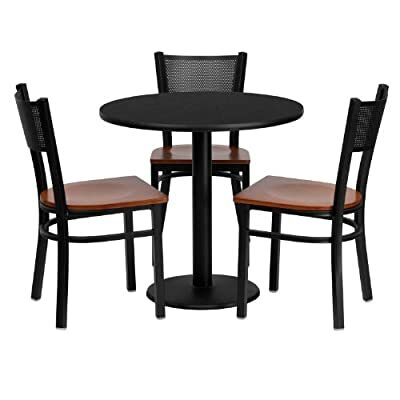 It is super user-friendly for you to freely place the table and chair at any place you need. 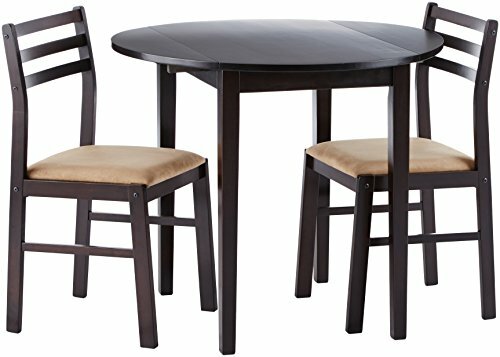 High grade dining room set that created from all Asian Hardwood. Basically no MDF, veneer, laminate use within our items. 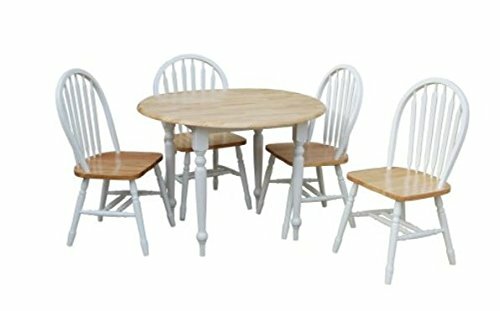 The kitchen chairs offer an extraordinary and stylish characteristic to any kitchen area as a result of floral inspired slatted back dining chairs design. 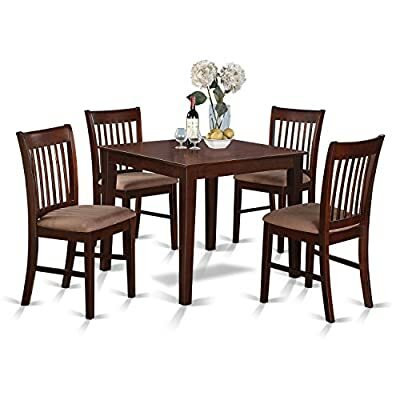 Set includes one (1) table, one (1) bench, and four (4) chairs; finished in dark oak. 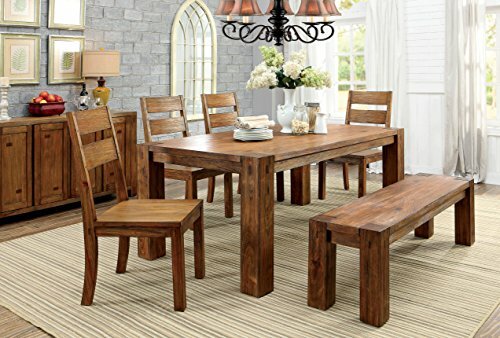 Parfait 9 piece Set with Square 54in Gathering Table and 8 solid wood seat ladder back chairs in a Cappuccino Finish. 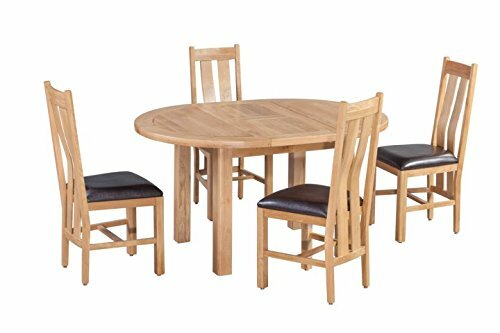 High-quality kitchen dining set that made all Asian Hardwood. Completely no MDF, veneer, laminate utilized with our products. 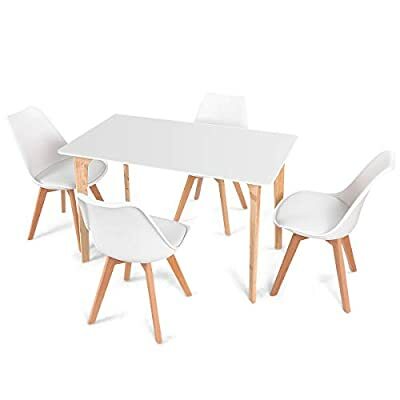 Simple Design & Modern Style–The design of the dining table set is modern and elegant with simple and stylish design. 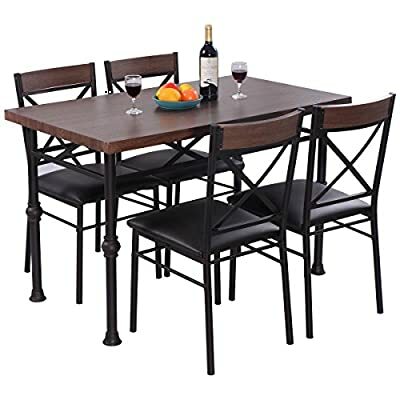 This set of furniture is ideal for decorating a kitchenette, patio or dining room etc. 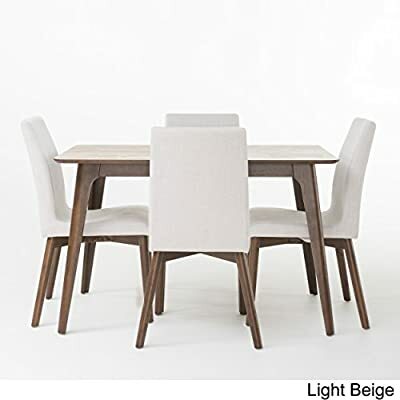 Versatility–This dining table is not only for home dining room, but also for the restaurant. 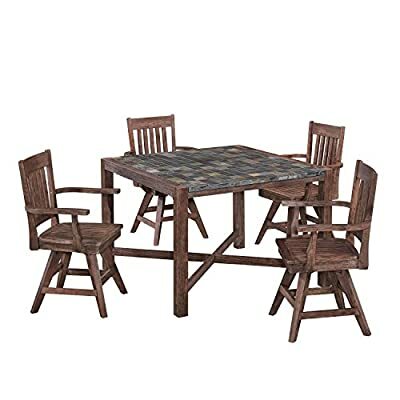 Besides, these table and chairs are also suitable for outdoors if weather is good. The easy-matching style and color could get into many different situation you need. We bet that you would need it and look forward into it. 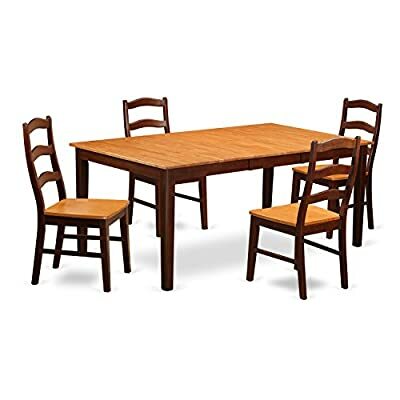 Drop leaf table saves spaces and suitable for smaller rooms. 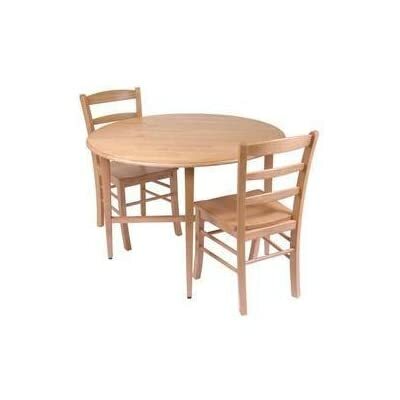 Set includes one drop leaf table and two chairs. All frames manufactured from solid rubber wood. Table Top and chair Back Rest made of MDF Board. 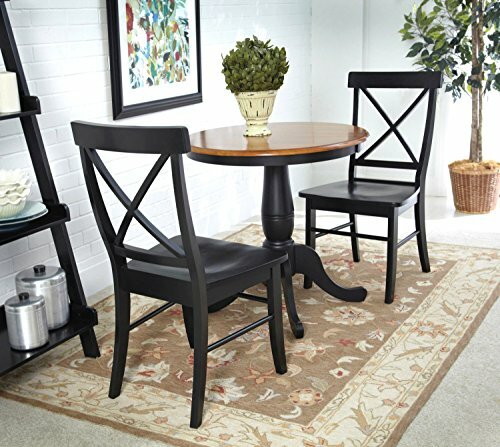 The Dining Chairs Measure 20″ X 21″ X 30″ and the Table Measures 42″ X 42″ X 30″. The Complete Package Weighs 95 Lbs and Arrives with Only Minimal Assembly Required. 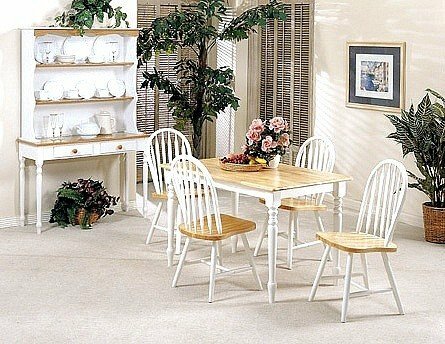 Looking to Furnish Your Space on a Budget? 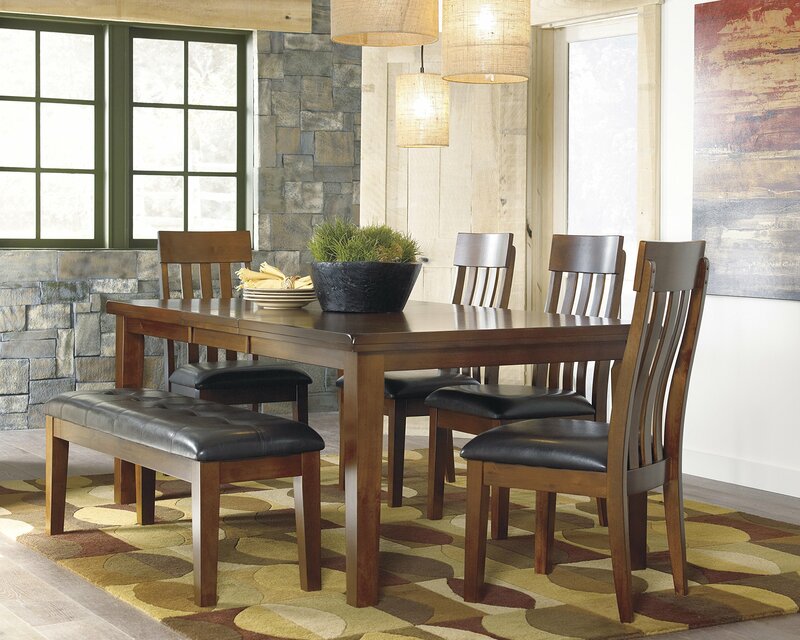 This Dining Set is for You! 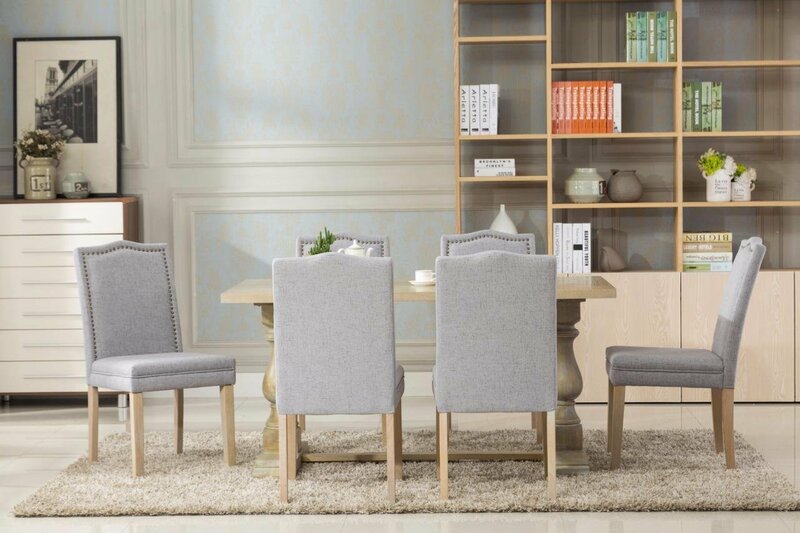 A Beautifully Chic and Contemporary Set, the Dining Set Comes with 4 Rounded Spindle Back Chairs and a Round Table. 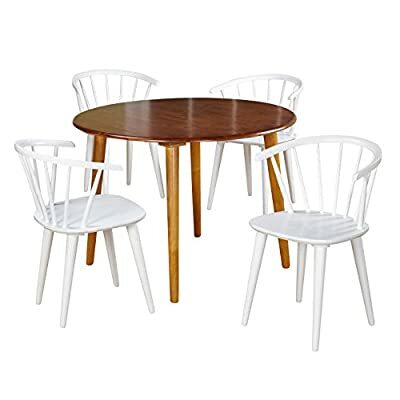 Classic White Chairs Paired with a Oak Table Give the Dining Set a Modern Look that Enhances the Aesthetics of Any Home. 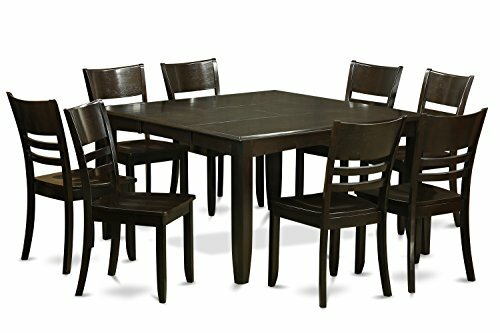 5 piece Henley Rectangular Table With 18in Butterfly Leaf and 4 Wood seat chairs. 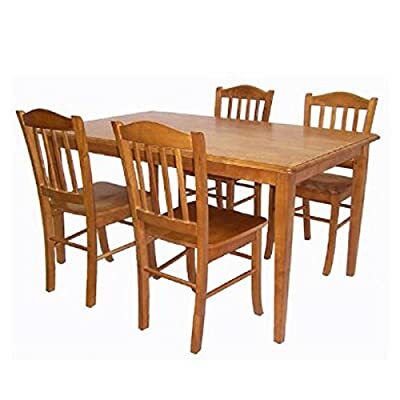 The highest quality dining room set which made out of all Asian Hardwood. Absolutely no MDF, veneer, laminate include with our items.